I had a sorority sister the other day ask me for tips on living alone and how I did it for my 8 month stint of it. Now I have lived in the dorms with one person (the best dormmate a girl could ask for, Hi Cassie! ), with 40 girls in a sorority house, by myself and with my significant other. 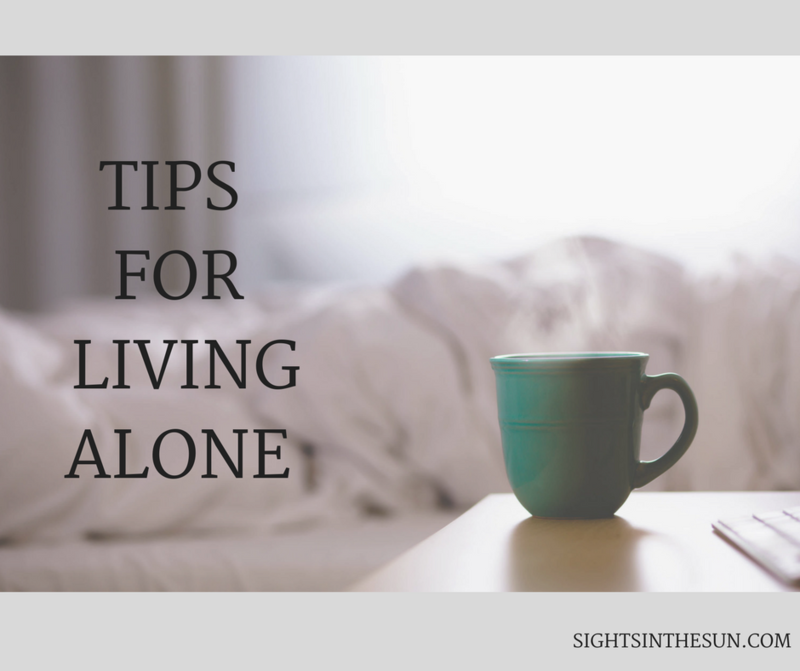 I have tips and suggestions for all of those types of arrangements but today, we’re gonna talk about living alone. It’s weird living alone, because your house makes a lot of noises and so do your neighbors. I didn’t have a TV for half the time I lived alone. And I was always on my computer with Netflix or music or something. I really needed background noise. I liked quiet in the mornings with a book and tea, but like that was peaceful quiet. Sometimes quiet gets too much you know? Having a TV changed stuff. My dad came to visit me about 3 months into my living alone and was like “You don’t have a TV? We’re going to Walmart.” And we got me a TV. My family is a big TV family. Like have them in every room you can. So I liked having stuff on. Music on when I was in the shower, TV on while I’m getting ready with CNN, HGTV, or the Food Network, sometimes I needed it to help me fall asleep. It’s makes all the weird noises go away (right? They totally don’t happen when the TV is on). I loved having the ability to cook. I had lived in the sorority house for 2 years where yes we had a cook, but sometimes you just want to make yourself eggs for dinner. Or pasta the way you like to eat it. Or some ground turkey. Maybe the ground turkey is just me. But being able to buy my own ingredients, cook for myself, see everything I’m putting into it, and sitting down to eat it; I loved that. I liked going to the grocery store or Walmart. And it made me enjoy cooking. Now it’s one of my favorite things. And by cooking, you can invite over other people. If you’re like me, you picked living alone over roommates because you love your space and alone time, but you still have friends and loved ones. Inviting them over for a meal is great because it’s social and nice to see people. Because you can get isolated, which leads me to my next tip. 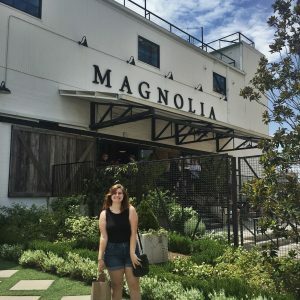 I have developed some social anxiety over the last year and a half, and a lot of it started when I found how easy it was to stay alone in my little nest of an apartment. I canceled quite a bit of friend dates or found it really hard to leave but once I did, I had so much fun. Being alone is good for a time, but also it really makes you happy for the time with my friends. I didn’t realize how nice it was to always have 10 people to go to target with until I lived on my own. Schedule social times like you schedule study sessions. Coffee shops, errand runnings, brunch, study sessions, have some face time with people. I say work when I mean study or get things done. In high school, dorms, or in the sorority house, someone is always around. My friends weren’t shy enough to say, “Bronte, more Netflix? Do some studying.” And no one was there in my little one bedroom to tell me to turn off the TV and get to work. So I had to learn that it was better for me to spend the afternoon studying around people than by myself. In the dining room of Kappa, at coffee shops or spaces on campus, the library. It really taught me about my study habits. So if you are a self starter or need something else, then do what’s best for you to accomplish the goals. Now you don’t have to get a dog, or pet, but I really recommend plants. Plants are nice because you can make it part of your daily routine. You get up, put some water on for tea, dance around to Chris Young’s Lonely Eyes in your pajamas, water the plants, get dressed…It’s nice to have a routine. Some other fun little tips: avoid being a slob, try to keep it clean, don’t be scared, get some awesome decor going on, remember to grocery shop for one, and enjoy your privacy. It’s your time to live alone and rely on just you. And only have to take care of you. It’s pretty great. Here’s a picture of my little nest from Missoula! It really was the best apartment and I miss it a lot. 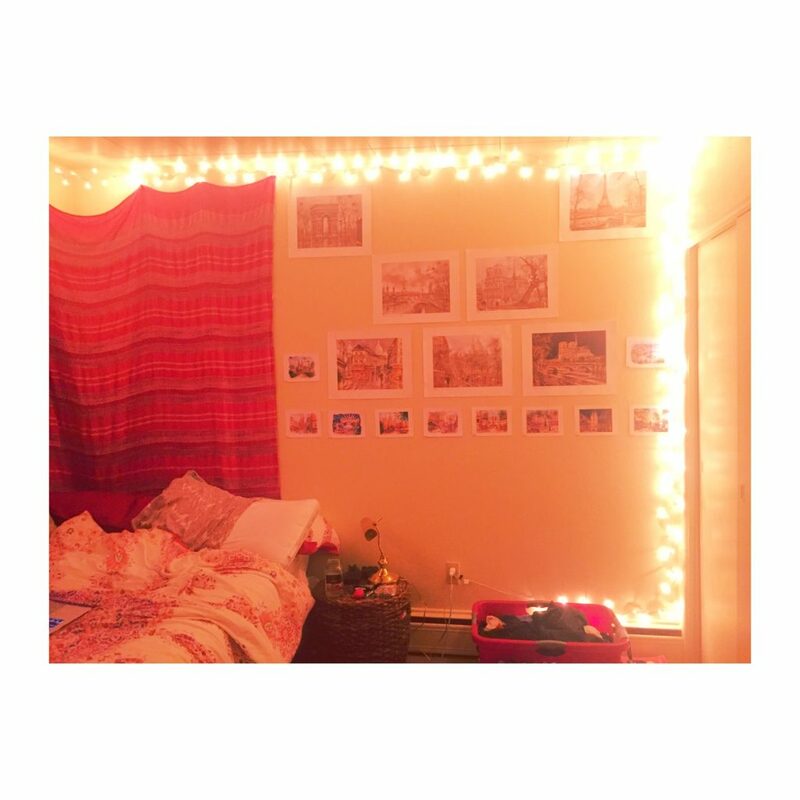 Those pictures on the wall are from my Europe trip (Barcelona and Paris specifically).